Normal video frame rates used today can vary from 24 frames per second to hundreds of frames per second (fps). However, when the fps is greatly reduced to a few frames per minute or even an hour, the effect speeds up the subject of your video. 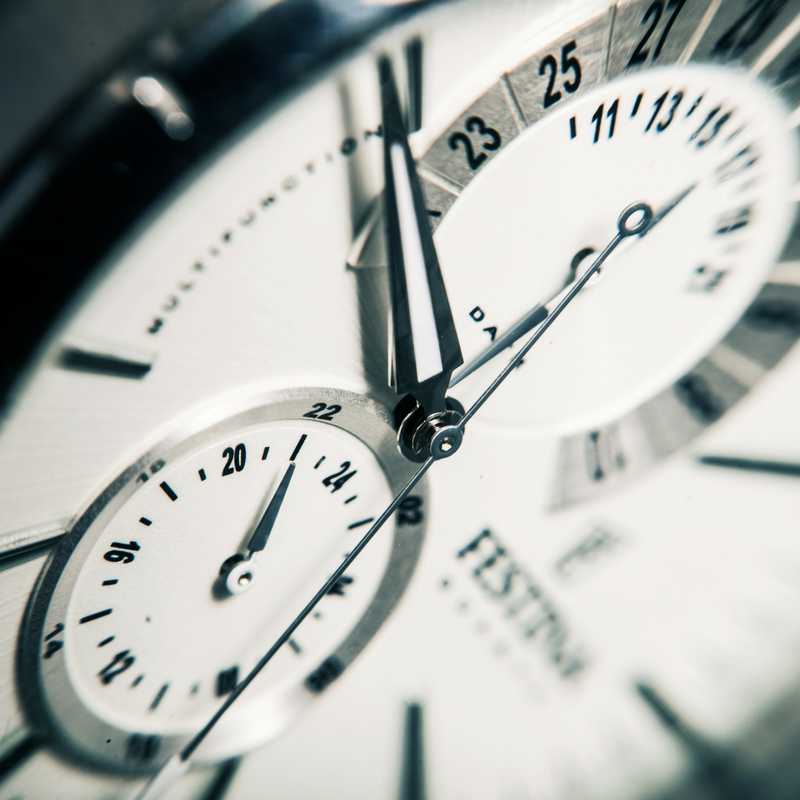 Processes requiring hours, days, or even weeks will appear to occur in the span of a few seconds or minutes. This is called time lapse video, and it enables you to view processes outside the normal range of human perception. Although time lapse is a well known video technique, businesses have yet to exploit it fully in their marketing efforts. 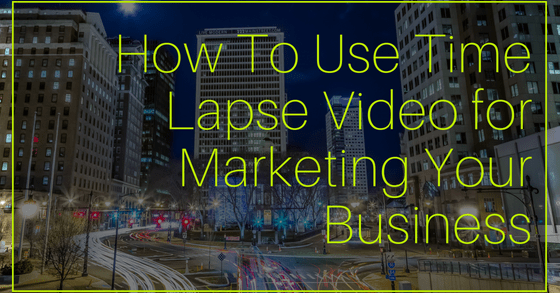 Using time lapse video for marketing your business can be a smart option. Time lapse video can engage the viewer in any number of ways. Because it’s not commonly used in marketing, it’s a novelty for many consumers. This, plus video quality, will be enough to hold the viewer’s attention. Novelty is the reason for the effectiveness of time lapse whiteboard videos, in which a person rapidly sketches pictures or writes notes while accompanied by a narrative soundtrack. Example of a time lapse video by Miceli Productions. STANLEY DURA-GLIDE GREENSTAR. Time lapse also reveals interesting patterns such as stars moving in circles in the night sky, indicating the earth’s rotation. Fascinating lighting changes throughout the day are revealed. It’s well known in outdoor photography and painting, that an outdoor scene appears differently throughout the course of the day as the lighting changes. This effect has inspired painters to portray the same subject under different lighting conditions. Time lapse lets viewers watch these changes evolve in front of their eyes. Another interesting effect is the flight patterns of aircraft at night near an airport. Time lapse will make their lights appear like firefly activity. Effects such as these can transform your marketing message into something artistic and even poetic. On the other hand, you can also make the ordinary appear humorous when certain types of activities are sped up, especially when accompanied by the right musical soundtrack. Time lapse effects can inspire, entertain, and educate. Choose one of your busiest employees who moves around a lot and create a time lapse video of the person’s workday. You might title it “A Day in the Work Life of John Smith.” Perhaps John Smith is the CEO, a supervisor, or a hard worker in the shipping department. A time lapse video that compresses this person’s day into one or two minutes does a good job of highlighting the dedication and professionalism of your best people. Miceli Productions used time lapse and hyper lapse as part of a tour of the Kingswood Oxford science building. The manufacture and assembly of complex products such as cars, sailboats, or airplanes in one or two minutes makes for fascinating viewing. It doesn’t matter whether the process is done manually, with automation, or with robotics, the video will hold the attention of your viewers. Use time lapse video for marketing to impress customers, business prospects, or potential new investors. Many construction companies use time lapse to good effect by showing a multi-month construction project, from start to finish, in a short video. Even though the video is obviously sped up, a time lapse will nevertheless convey a subliminal message of a fast and efficient customer fulfillment process. Choose a complex order and follow its processing, including the warehouse activity involved in picking, packaging, and shipping the order to the customer. You might even include its delivery to a smiling and satisfied customer in either accelerated mode or at a normal video speed. Today, people have shorter attention spans and less time for viewing lengthy videos. The time lapse technique readily accommodates this trend by compressing lengthy processes into a one or two minute video that will engage the viewer. To learn more about using this technique to showcase your business, don’t hesitate to contact us. Are more and more of your competitors launching video projects? What do these companies know? 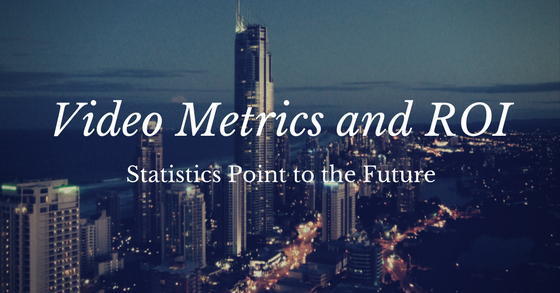 More importantly, how can you leverage related video metrics and ROI to YOUR advantage? Forrester Research did the number crunching a few years ago. In the process, the experts discovered that videos embedded in emails during marketing campaigns yielded an increase in click-through rates. Typically, marketers saw two to three times as many click-throughs as they did without clickable videos. Fast forward to today, and it is clear that this marketing phenomenon is not going away. 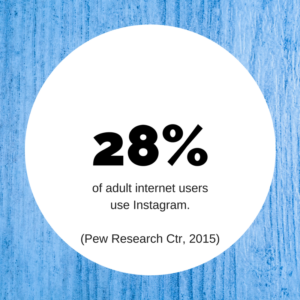 Marketing statistics prove that Instagram, for example, is visited by 28 percent of adults on the internet.This site shares an estimated 95 million photos as well as videos on a daily basis. While a few years ago the use of videos in email marketing sounded like innovation, today the use of the medium is firmly embedded in corporate culture and consumer expectations. The use of marketing videos is not just industry driven. In many instances, consumer behavior shows that the individual buyer will prefer to do business with a company that uses the medium. Case in point is the real estate market. In its Broker Report, the National Association of Realtors reveals that 89 percent of home buyers used the internet to find a property. As a result, a professional in the field is 44 times more likely to sell a home by featuring it online. Consumers are aware of these metrics. 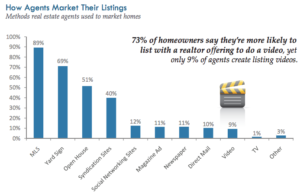 Seventy-three percent explain that they will do business with a real estate agent if the professional includes video listings in the firm’s menu of services. Of course, in some situations, advertising with videos may be the only way for your target demographic to find you. Think about the 18 to 34 demographic. This segment of the population does not watch cable TV. According to YouTube, it pays attention to the videos on the site. The platform recognizes that this fact puts it in direct competition with cable networks. Commercial video production is not something you can achieve in a garage. Everyone has seen those late-night cable TV commercials that have a distinctly homemade feel. What they lack in professionalism makes the difference between being taken seriously by the shopper and being made fun of by the same demographic. So, what does it take to create a good-quality video? Script writing expertise. Even a brief two to three-minute video calls for a script. It should focus on search engine optimization as well as word usage that appeals to the targeted demographic. Casting. The majority of people in advertising videos are actors. They are professionals who know how to act in front of a camera to elicit specific responses. Although amateur videos can be endearing, they may not have the quality your customers are looking for. Filming. High-quality equipment use results in superior video quality. Because more and more consumers access online videos with mobile devices, quality is a must. Post-production editing. Paying attention to the intricacies of editing is another crucial aspect of video creation. Professionals work with the content to ensure that it is in keeping with best online practices. Moreover, they will work with your management team to provide for the perfect encapsulation of your brand message. It’s time to add video marketing to your toolbox. Contact us today to find out more! 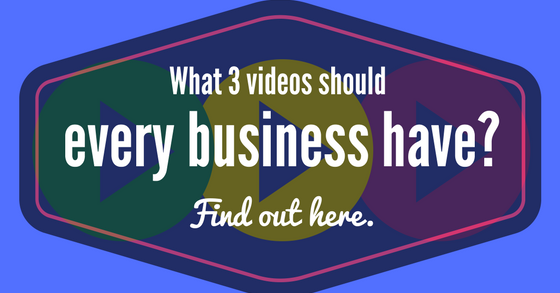 What 3 videos should every business have? Find out here. “Content is king” is an expression you’ve heard plenty of times in the past. While the landscape of content marketing is ever-evolving, one thing remains steadfast: content, whether it is in the form of text, video, or something else, will always be one of the most effective ways to convey an important message to your target audience, and get you one step closer to securing more paying customers. When it comes to content creation and marketing in the form of video, there are a few key things that businesses of all size should keep in mind. Every business should have these three videos to invest in to strengthen their marketing strategy and brand identity. 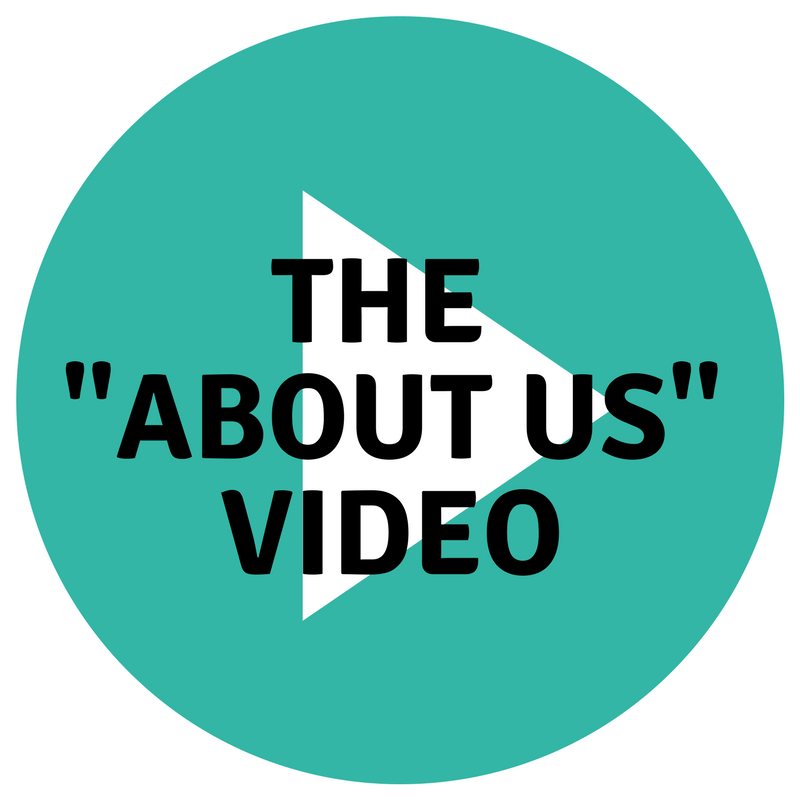 The “Who We Are” Video: Why rely solely on a generic “About Us” website page when you can really grab the attention of your website visitors with an engaging video? If you are trying to get your target audience to absorb information, clearly you don’t want them to be bored. That just means there is an increased chance of them wandering away and going off to one of your competitors. A video is more interesting because it allows your viewers to actually see the literal faces behind your corporate image. They can see real people (your employees and your company team) instead of just reading about them and seeing one photo of them. This will boost the chances of viewers developing not only a greater interest in your business, but an emotional connection to your company and your company team. The “Behind-The Scenes” Video: You don’t have to be a marketing expert or public relations professional to know that people by nature are curious, inquisitive creatures. They love to be let in on a secret. They like to be “in-the-know”. Capitalize on this by including a behind-the-scenes video of your company and your team at work. When you are working on an exciting new venture or planning to introduce a brand new product or service, consider making a video about the experience and sharing it with your target audience. This is beneficial for a number of reasons, primarily to build up hype and get your target audience more intrigued about what you are doing. Creating a video like this will also give your viewers, particularly your loyal followers, a sense of inclusiveness and appreciation, letting them know you value them as customers and as people. 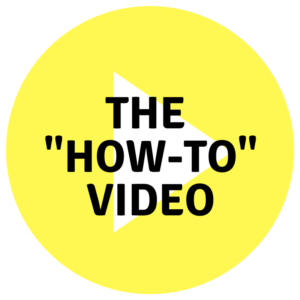 The How-To Video: People are addicted to how-to videos these days. They can watch videos of people making mouth-watering dishes for hours or watch a tutorial on how to do makeup and hair. Consider including one (or several) how-to videos in your marketing campaign. If you run a clothing line, do a video on the fifteen different ways to wear one of the scarves that you sell. If you own and operate a bar, create tutorials on fun, seasonal cocktails. Get creative about how you can film how-to videos and if you develop a large, loyal viewership, consider regularly churning out new videos every week or month. The key to successfully creating how-to videos is to use a mix of information and entertainment. Today, people have become more sophisticated in the way they receive content. They do not want to be informed without also being entertained and they don’t want to be entertained without also being informed. Find a blend of both and make sure to infuse these key ingredients into every how-to video you make. Every business should have these three cornerstone videos as part of their marketing efforts. Want to get started using video for your business? Contact us today! 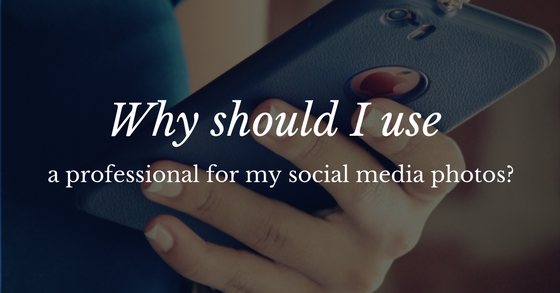 Why should I use a professional for my social media photos? for my social media photos? Virtually everyone owns a camera these days. Just grab your smartphone, open up the camera app, click away, and get some pretty high resolution images. Having a camera everywhere you go is great for all kinds of businesses who rely on images for a giant chunk of their marketing efforts, particularly on social media. So if you have a built-in camera right on your mobile device, why would you even bother with hiring a professional photographer again, particularly for social media? In this post, we will take a look at why using a professional photographer for your social media marketing campaign is not only still relevant, it comes with a lot of added benefits. 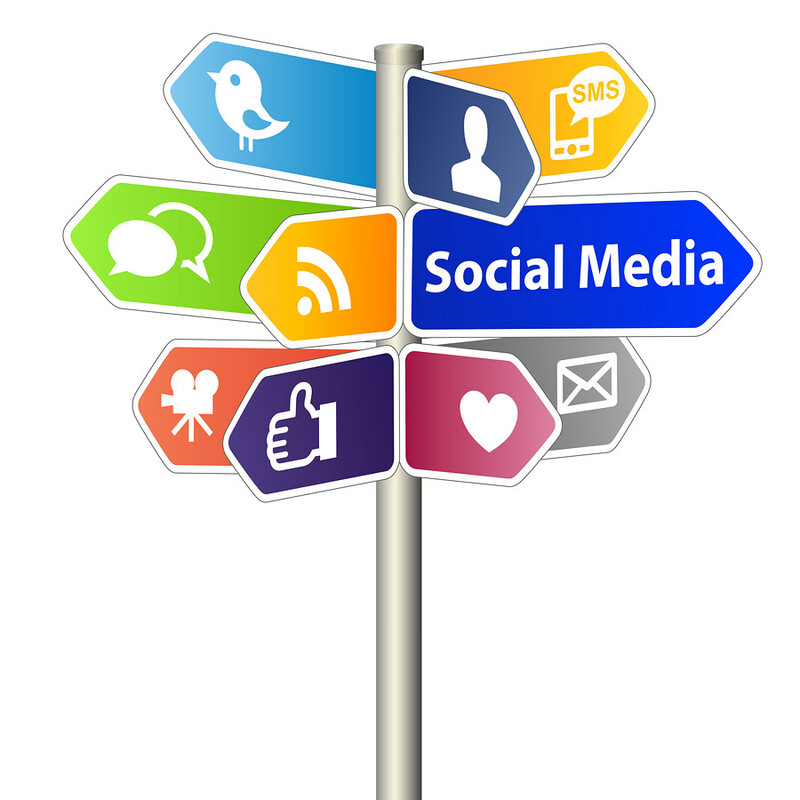 It’s One Less Job For You: Social media marketing is now a full-time job. As someone who runs a business, you’ll often find yourself asking when you are supposed to find the time to wear multiple hats at once. The reality is you can’t and you shouldn’t. Every successful business owner understands how vital it is to delegate tasks and social media should be a part of that. And clearly, images come with the territory. Instead of spending a couple of hours every day snapping, uploading, editing, and captioning photos with appropriate keywords for SEO on Instagram, Facebook, and similar social media websites, give the task of capturing excellent photos to a professional photographer. This will free up your time immensely, which in turn, ends up saving you money (while allowing you time to make more money). It Strengthens Your Brand: Social media users want to look at pretty photos; not images that (though it may be relevant to your business) are blurry, drab, or downright uninteresting. When you work with a professional photographer, this will never happen. They will always deliver and provide you (and your social media following) with images that captivate. And when you have a social media account loaded with impressive imagery, it strengthens your brand identity and makes you more ubiquitous online. Don’t hurt your brand by snapping and uploading photos that don’t intrigue people. You Can Achieve The Best Representation of Your Brand: You as a person are definitely a part of your company’s image, no matter the size of your professional entity. As a business professional, particularly the owner, your face must be a part of the brand. And if your face must be seen by the public, you want the best representation of yourself possible. When it comes to having a photo of yourself uploaded on your personal social media accounts, LinkedIn profile, on your website, or across any other marketing literature, you want a head shot that makes you shine. Invest in a professional head shot that gives off a professional first impression and therefore makes your brand stronger. Your Products (or Services) Can Have The Best Representation Possible Too: Just as you want a professional head shot that gives off an unforgettable, positive first impression, you want what you are selling to give off a great first impression too. Although social media should be used to connect with your target audience, build relationships with them, and strengthen your brand, rather than blatantly advertise to your following, you can and should include a photo of what you are selling every once in a while. But that photo has to make a lasting impression. If you rely on the services of a professional photographer to shoot your products, you can have peace of mind knowing that you are getting a top-notch photo that will impress your audience. Looking for more reasons to hire a professional photographer for you social media marketing? Don’t hesitate to contact us today to learn more! Virtually all businesses, regardless of size, are beginning to better understand the many benefits of including a variety of video content in their marketing strategies. While it is a good idea to experiment with multiple types of videos such as live streaming on Facebook, professional video content for your website, and basic tutorials for product-based businesses, it is important to get one of the most basic kinds of video out of the way first: the explainer video. The explainer video is an opportunity to give your target audience a fundamental understanding of what your business is and what it can do for them. 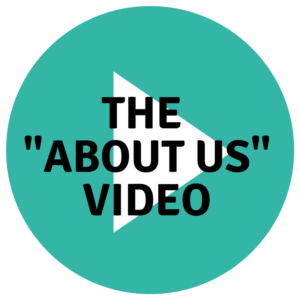 But how can you be sure that you are creating a captivating explainer video? 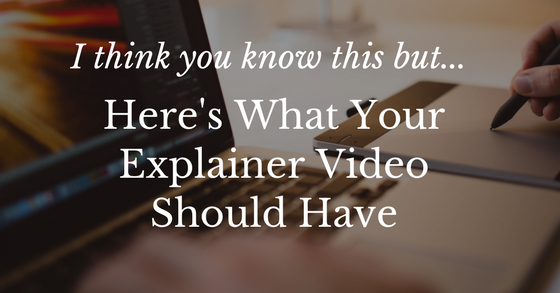 Let’s take a look at four key things that every explainer video should include. A Story: An explainer video without an engaging story will merely bore your audience and have them nodding off in no time. While the whole point of your explainer video is obviously to explain to viewers what your business is about — its history, products and services, and any other pertinent information you want to include — the video must also be entertaining. Additionally, the story of your video should be about the customer, their needs, and how the product or service you are offering is able to fulfill those needs. When you make the video about the customer, it becomes more interesting to them. You want the viewer to be so stirred up with a sense of urgency after watching the video that they will take actionable steps to contact you and have their needs met with your product or service. A Logo: So many businesses forget to include their logo in explainer videos! You want to include your logo in the video so viewers have something to remember you by. Consider placing the logo somewhere at the beginning or end of the video similarly to the way news videos include their logos. Including your logo in the video is an opportunity to get the right amount of branding infused into the content and thus strengthen your overall brand identity over time. Contact Information: The whole purpose of explainer videos is to answer as many questions as possible that people may have for your business. However, the reality is that not every single question that every single person has can be answered in one video. So if after watching the video, a viewer still has an unanswered question, include some customer support information at the end so that viewer has the opportunity to take action and get in touch with you. Make sure the place you list and drive traffic to, is regularly checked and answered and can support the amount of traffic you anticipate. A Summary: At the start of the video, you should introduce yourself and highlight the main talking points before going through anything else. Fewer things are more irritating to a person watching video content than being five minutes into the video and still not understanding what it is about. Most people who watch explainer videos greatly appreciate having an executive summary at the beginning so that it is easier for them to follow along and so that they won’t feel like their time is being wasted. Looking for more advice on ways to create the perfect explainer video for your business? Need video content creation? Don’t hesitate to contact us. Our talented team is committed to helping businesses grow with professional video and photography that will strengthen their brands. 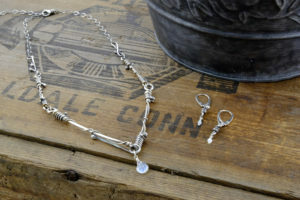 Product photography of jewelry by Lil Bird Design. Images by Miceli Productions. If you run a business that sells products, especially on an e-commerce platform, you need great photos to showcase your products to your target audience and customers. And as a savvy business owner, you know that having professional product photos can play a vital role in the success of your marketing. When you have poor photos, your target audience will see that as a reflection on your product. But when you have stunning imagery that highlights the best qualities of your products, you are significantly more likely to capture the attention of your target audience and impress them. Here are four ways that professional product photography will help your business thrive. You Get Valuable Expertise: When you hire a professional photographer to do all of your product photography, it is undeniably a monetary investment. But you could also look at it as getting the best rate of return on your investment. If you decided to take a “do-it-yourself” approach, you’d have to purchase a high quality camera, invest in lighting, and learn the art ofproduct photography. These things that could very well end up costing you more in hassle and time when you could hire an experienced professional are get great images right away. 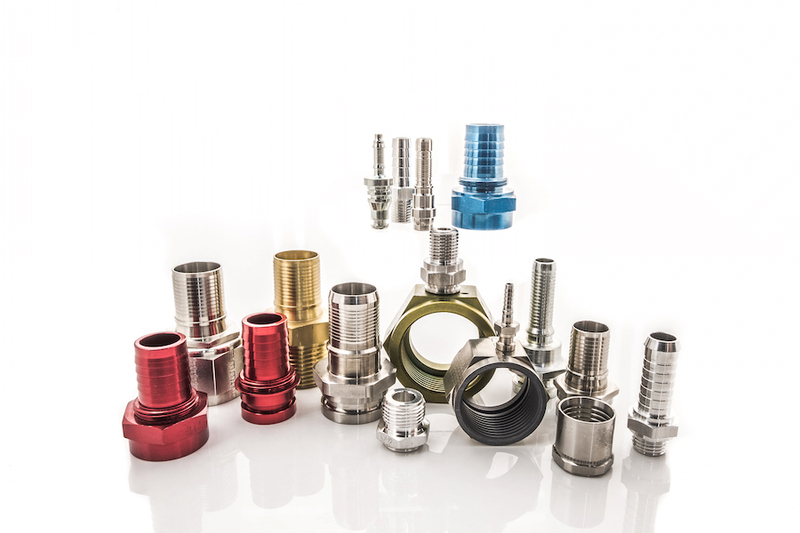 Product photography by Miceli Productions for Prime Engineered Components. Spend *YOUR* time running your business: Photographing all of your products, especially if you have hundreds of them, is extremely time-consuming. Even managing a staff member who might be able to spend the time is not a replacement for a pro. Hours or days can be spent to try different looks, props, lighting, etc. Keep you and your employees on your primary business by hiring a professional photographer. Spend your time on the operational tasks that make your business successful. Don’t invest time learning the basics of product photography when there are pro photographers who have spent their efforts on getting to the highest level of their craft. You can save time and be efficient by working on your business and hiring an outside professional photographer who already has the knowledge and experience behind them, as well as pro-level equipment that will get the best images. 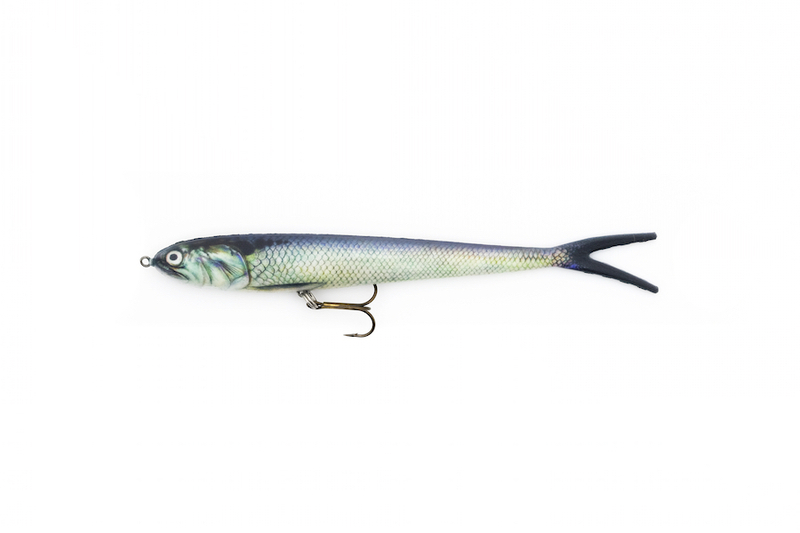 Product photography by Miceli Productions for NextGen Baits. You Get Flawless Images: An obvious point? Maybe. Obviously a pro photographer will get you flawless photos of your products. Just a reminder that there are many factors that go into achieving a flawless shot. Light, props, staging, equipment, knowing how to put them all together. It’d be blind luck for someone with no photography experience to capture an award-winning shot that enhances all the features of your product. Photographers are multi-disciplinary, creative individuals. Best images are created by taking into account lighting, angles, background setting, and other elements that non-creatives don’t even consider. You don’t just want a snapshot of your product; you want an image that brings your product to life. You Strengthen Your Brand: Stong images help you craft a strong brand. A product photographer will have a vested interest in your vision and the aesthetics of your brand. They will take into consideration all of the important aspects of your product lines and create images that amplify your brand identity. They aim to make sure that the images of your products can be perfectly integrated into your brand image and are completely representative of your brand and business. 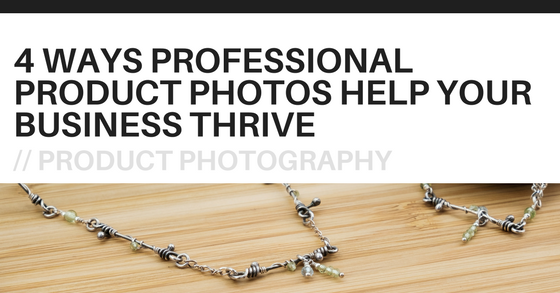 Curious about the many other ways professional product photos will help your business thrive? Contact us today! If you have very little experience in the realm of video marketing, but are looking for ways to broaden your knowledge on the subject, you have come to the right place. Video marketing is an extremely useful tactic that should be used by business of all sizes. It comes with many benefits that can lead to increases in the strength of your brand identity and sales. However, in order to be successful, you have to be armed with the right resources. 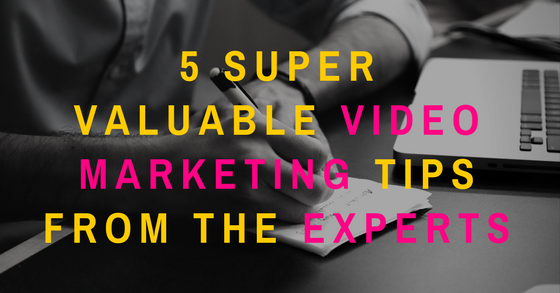 In this post, we’ll take a look at five valuable video marketing tips provided by the experts. The First Few Seconds Are The Most Important: Timing is everything when it comes to creating effective video content. Many experts you talk to will tell you to focus on the first ten seconds of the video. The first few seconds of a video are the most important. In that short amount of time, you need to capture the viewer’s attention in such a way that convinces them the rest of the video is worth watching. It’s also important to know that nearly half of viewers stop watching the video after one minute (that is, if it wasn’t informative and entertaining enough). To summarize, strive to keep the video you are creating relatively short, as shorter videos tend to be the more successful ones. Intended Use is Just as Important as The Content Within The Video: Overwhelmingly, video marketing experts will tell you that having a clear idea of your intentions for the video are equally as important as what’s in your video. Having the most awe-inspiring video ever created is of no use to you if you don’t have a marketing strategy in place to roll it out. Before the video is finished being made, know what you are going to do with it and how you expect it to fulfill your marketing goals. Animation Works: When you sit down with a video marketing expert and solicit their advice, many will tell you that implementing animation is very effective. For example, integrating an animated character into your video is effective because it brings viewers back to their childhood and they connect to that emotionally. Videos with animated characters are also more likely to retain the attention of the viewer for a longer period of time. Short animated videos are fun, and can connect with people in a different way than live action video. Animated video created by Miceli Productions in collaboration with dreamscapes design group for Just For School Teachers. Know The Benefits of The Many Social Media Platforms: Every social media platform works differently and therefore the way your video is received across unique social media platforms will be different. If you plan to release a longer, more educational-based video, you will have greater success on YouTube instead of Facebook. If you want to promote your video and hook viewers, Facebook is where you will see the best results. It’s also worth mentioning that in the last year, Instagram video viewership has gone up by 40%. But like Facebook, these videos should be kept relatively short. Above all, know where your audience resides. If you’re targeting grandparents, you might air your video on Facebook instead of Instagram. Use All The Right Tactics And Resources to Make Your Video Stand Out: We live in an era where information is widely and readily available to virtually everyone. People are fortunate enough to have access to a plentiful amount of resourceful material related to video marketing. If said resources have proven to be effective in the past, consider using them. Many experts would tell you that using email marketing in conjunction with video marketing is quite effective. Almost universally, all marketers agree that an emotional appeal is a way to see greater success with your video. Above all, be authentic and true to your brand with your video marketing content. Looking for more advice? Contact us today! Our team is dedicated to helping small and large businesses achieve their growth goals through the mediums of video and photography. Make Your Product Photography Look Even Better! If you run a product-based business you understand the importance of having spectacular images that catch your target audience’s eye and effectively convince people to consider buying what you have to sell. 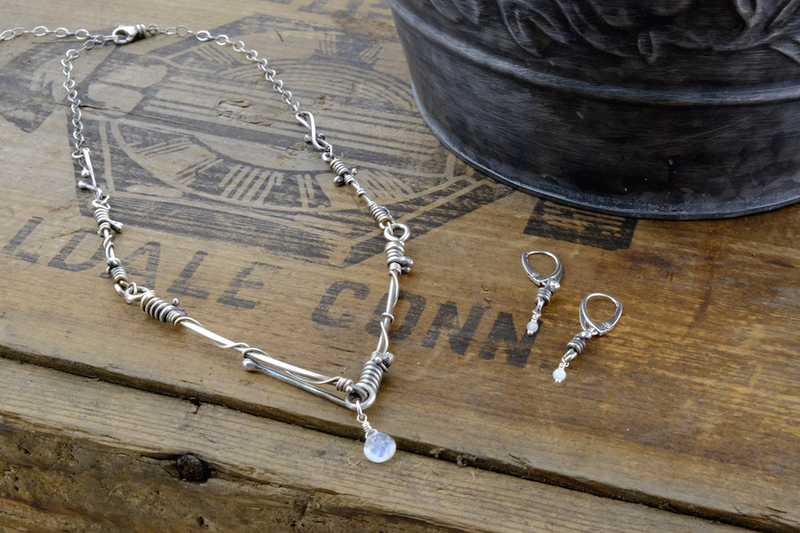 And a big part of what sells your products is stunning photography of your products. If photos of your products aren’t doing your products justice, you are severely limiting your sales possibilities. In this post, we will introduce four key elements needed to make your product photography look even better and help bring you more sales. Flawless Lighting: This is arguably one of the most important components of captivating, gorgeous product photography. If the lighting is off, it can ruin an entire photo. If you don’t have the right lighting equipment or understanding of lighting for photography, you will want to seriously consider hiring a professional photographer to do your product photography for you. Not only will they take great pictures, they will come armed with all of the best state-of-the art camera gear and lighting equipment to produce the most flattering images of your products. The Right Background: After nailing down the element of lighting, the next thing you will want to consider is the background upon which your products will be photographed. Obviously, these images are about the products, not what is behind the products so it is important to having a background that complements the images but does not steal the focus of the photos. The other thing to keep in mind is that the background you choose for your photos depends on the type of products you are selling. 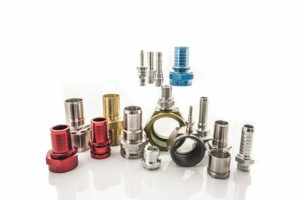 Have a product-based business? Are you selling food, wine, jewelry, or clothing? If you don’t know what to do for a background, talk to a professional photographer. They have the artistic eye and know-how to come up with the best background ideas for your products. You want a background that will enhance your products, not drown them out. Good Judgement in Regard to Styling: In most cases, the saying “less is more” is usually the best approach to take with anything. That includes the styling of your product photography. Just because you have limitless creative opportunities for your photos doesn’t mean you should go over-the-top. You don’t want to end up with images that distract from the product, the message you are trying to send and story you want to tell, and the overall brand of your business. A simple, clean look can actually be incredibly powerful and eye-catching. If you aren’t sure what creative options would most suitably enhance your brand and product photography, work with a professional photographer to achieve the perfect look for your business. They will know how to introduce the right stylistic elements without going overboard and making the photos look busy and messy. Impeccable Editing: Shooting the products is just one part of the equation. After getting the best shots possible, your photos need to be edited to be exactly what is needed in order to capture the attention of your target audience. If you don’t have the editing resources for your images, it’s a wise idea to consider investing in a professional photographer who has everything needed to edit the photos. Professional photographers also have an incredibly artistic, meticulous eye and will work tirelessly to create the right images that go along with the image of your brand identity. Photo by Miceli Productions. Product photography in CT. 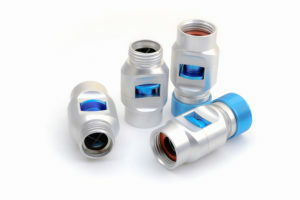 Looking for more information on photography for your product-based business? Don’t hesitate to contact us today to discuss your photography needs. We specialize in producing product photography, professional head shots, advertising images, and much more for business of all different sizes. 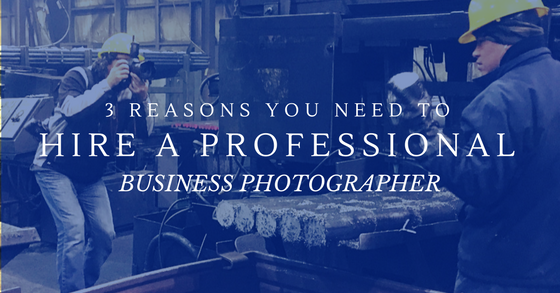 Why do you need to hire a professional business photographer? Find out. Visual marketing is the most effective medium for businesses to gain visibility, whether through traditional or digital marketing methods. Photography is the most solid form of this effective marketing medium, and has been used by businesses since cameras were invented. Let’s discuss by examining 3 reasons small businesses should hire a professional business photographer for marketing. Small businesses may not have the resources or desire to try and keep up with large brands, yet would like to develop a quality brand within their budget. Investing in professional photography keeps them within their marketing budget, while providing them with a high ROI. Photographs are essential to any marketing campaign, including: website optimization, social site postings, blog posts, email marketing campaigns, PTC, and more. Professional photographs are a long-term investment, which can be used for years or decades within a small business’s marketing portfolio. By having unique photographs professionally made, businesses won’t have to use the same stock photographs other business use. This means the investment keeps on giving as long as the business keeps going. 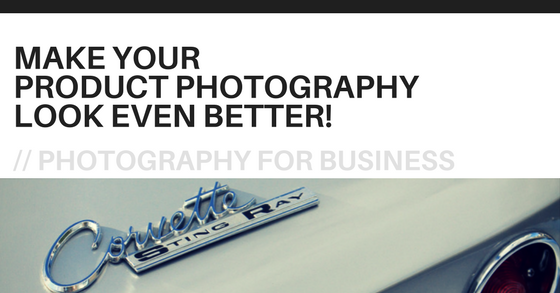 Indeed, professional photography is a great way to gain brand awareness and attract customers to the content on websites, blogs, social media posts, and more. The product or content is much more likely to gain traction when it’s accompanied with a unique, well-done, photograph. 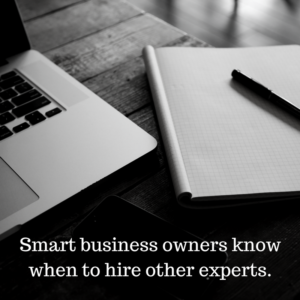 Small business doesn’t mean small ideas, yet these ideas many times aren’t realized, because of a lack of expertise or resources. By partnering with Miceli Productions for professional photography, small businesses will expand their marketing campaign capabilities. 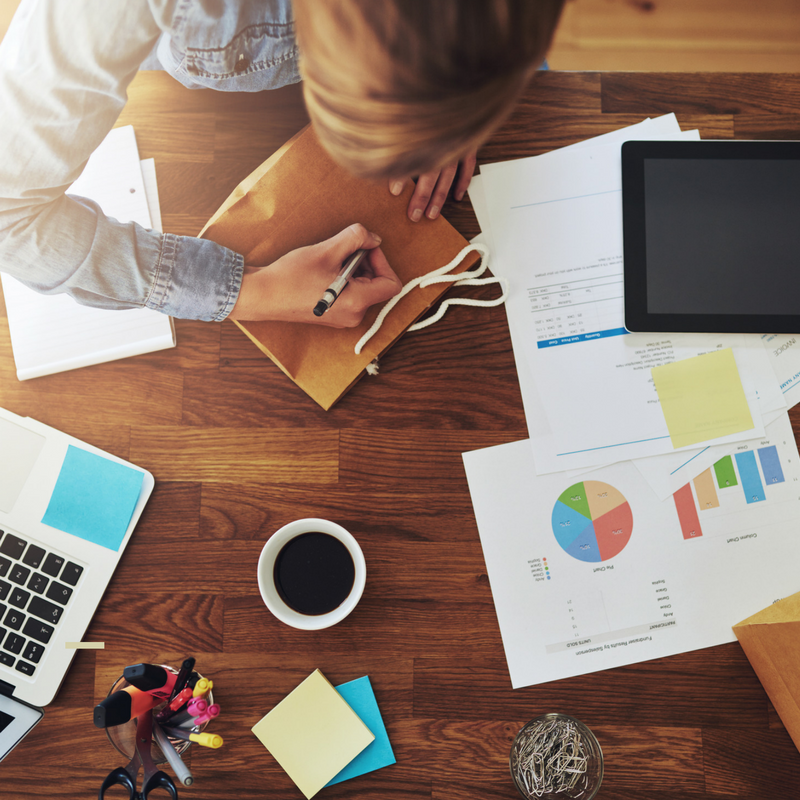 Staying within budget and working remotely or locally (New England area), small businesses will be able to manifest their marketing ideas into reality. Marketing campaigns could include: website optimization projects, email marketing campaigns, blog pictures, social media postings, slideshow presentations, video thumbnails, product pictures, and more. Instead of balking with a blank space, small businesses can partner with Miceli Productions and manifest their ideas to life, in the form of brilliant photographs. There’s no more effective medium for establishing brand awareness than photography, and every business has a brand, even if it’s not optimized and cultivated. With professional photography, small businesses can establish a unique and quality brand for their online and offline presence. The photographs should have a commonality that represents the core values of the business. This unique brand, portrayed through quality photographs, will begin to imprint an intrinsic and intangible message to the targeted audience, creating interest and customer loyalty with those it resonates with. Photographs are powerful ways to communicate a message, and with consistent efforts this message will gain an esoteric, loyal audience who appreciate the values it portrays. Photographs can be as simple or complex as businesses desire, yet having them professionally made gives businesses more depth and options. Target audiences will notice and judge a business by the quality of their photographs, which is why this reasons includes both uniqueness and quality. Working with a lean methodology, bootstrapping, or just plain staying within the marketing budget, are all good reasons for small businesses to focus on professional photography for its high ROI. Photographs are the most solid marketing medium available, as well as the least expensive; with them small business can create a unique, quality brand and expand their marketing campaign capabilities. The next step is to find an experienced and quality professional photographer that specializes in working locally or remotely with small businesses. Miceli Productions, LLC is located in Southington, CT and provides commercial photography and video production services to clients across the U.S. and locally in the New England area. If interested in learning more please contact us today. If you are entirely new to the concept of using high-quality, professional video in your marketing strategy for your business, don’t let that deter you from exploring this medium of promotion. Video content is a hugely advantageous way to impress current customers and garner new ones. 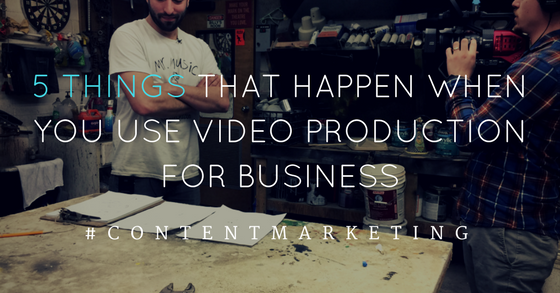 In this post, we will uncover five things that happen when you use video production for business. Want the bullet points? Click here. Your Reach Expands Significantly: By now you have probably learned that people, especially on social media, are exponentially more likely to watch video content than to read written content. So why would you continue to solely rely on blog content when you can expand into the world of video to grow your audience and potentially garner new customers? When you start implementing video into your digital marketing strategy, you will be able to spread it across multiple platforms including YouTube, Facebook, Twitter and your company website. You’ve Created a New Path for Engagement: When you create video content that is inspiring, informative, and relevant, you create another excellent avenue for your audience to connect with you and engage. You’re also engaging your audience simply by sharing your video! Once you’ve spread your video content across channels, encourage your followers to post comments, which will provide you with invaluable feedback. Not only are you able to communicate with your target audience in a new way, it’s a source of insight your can use to better your brand your company overall. You’re Able to Establish a Tighter Bond of Trust: Over the past few years, people have developed a great resistance to advertisements and can sniff out insincerity quickly. If you really want to capture the attention of your target audience, you have to establish trust and be genuine. Video content can does that. How? Because when you create specific types of video content, you have an opportunity to show your target audience what’s behind-the-scenes. You’re able to share the “face behind the brand”. You are personalizing your company by letting them get the inside scoop. When you let them see what you’re really about, you have established more trust, making people more likely to choose you over your competitors. You Can Evoke Emotion: Video content allows you to do So.Many.Things. When you use video as a communication tool, you can enter hearts and minds. And just as you can draw back the curtain, you can pull at heartstrings, inspire people to move mountains, and build a better world — with you. Video is a way to tell a story, and the best stories are the ones that can evoke emotion. When you add the element of emotion to your videos, you are once again humanizing your brand and making your target audience feel more connected to your company. You Can Improve Email Marketing Click Rates: Are your email newsletters feeling a little bland or are you not getting the subscriber volume you want? Video is a way to fix that. Email marketing by itself, when executed correctly, is an effective form of marketing. But if you could double — or even triple the effectiveness — wouldn’t you do it? You can! Implement video into your newsletters. Because people are more likely to view video content than to read written content, you can improve your click-rate by adding high quality, engaging video to your newsletters. Want to learn about more of the benefits of using video production for your business? Contact us today!